x64 Components for Windows 7/8 (formerly x64 Components) uses the 32bit player as the system default. The installed components of this release include icons to allow you to change the system's default player between the 32bit and 64bit Windows Media Player(s). 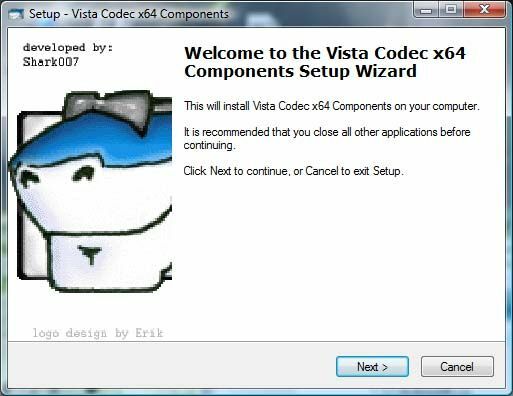 The Vista Codec Package is the only 32bit package to use in conjunction with this installation. You will experience reduced functionality using any other 32bit package.